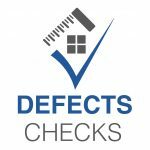 Many new homeowners have increasingly sought out defects inspection companies to carry out a thorough check of their new homes over the years. As properties are likely to be one of the biggest investments one could make, it makes sense to ensure that the property purchased is in good condition and does not come with any problems which may affect liveability in the future. A Straits Times article discussed the rise in demand for defects inspection service as well as a rising number of service providers in the market. At the same time, it also highlighted the lack of regulation governing people offering home inspection service and the existence of bogus inspectors in the market. Media Coverage: Featured in Channel 8 Frontline, Straits Times, TNP, Shin Min Dailies, as well as various blogs and interviews. Absolute Inspection has also given talks in various events over the years. Clients’ testimonials: Absolute has over 300 reviews on Facebook, with many enthusiastic reviews of their service. Almost all the reviews look authentic with reviewers providing details on their inspectors’ names and what they did right. It is quite clear that many of Wee Kwang’s inspectors were just as good, not just him. Other inspectors mentioned include Wayne, Kenneth, Kenneth, Ben, James, Ronald, Jeff, Kim and Chris. Founder: Toh Kee Chuan and Ning You Nan are both founders and directors.Both founders are also the MD and Director respectively of Deswood Pte. Ltd., an ID firm, with both firms sharing the same office address. Media Coverage: Only media coverage is the recent ST article featuring Absolute, Advance and Defects Checks. Clients’ testimonials: Advance has around 50 reviews on their Facebook page. Inspectors mentioned include Joelson, Lance, Manfred, Calvin and George. Founder: Gary Koh, who we understand co-founded the defects inspection service with Tan Wee Kwang before he left to set up Absolute Inspection. Clients’ testimonials: Ark Interior has around 20 reviews on Facebook. Inspectors mentioned include Jeff, Ronny, Brian, Huiting and Farhan. Media Coverage: Recent ST article featuring Absolute, Advance and Defects Checks. Clients’ testimonials: Online reviews are relatively thin with only 14 Facebook reviews. Inspectors mentioned include boss Davion, Jim, Darryl, Eileen and Jeremy. Besides the above companies, there are other service providers in the market. The list goes on. Bearing in mind that this sector is unregulated, how do you decide which company is technically competent and able to meet your needs? Our houses are one of our most expensive spending and valuable asset. Also, most of us probably only own 1 property in our lifetime. Hence, buying a property is not like buying a toothpaste or detergent. You do not get many tries to find out which is the best for you.Given the above, we think that it is prudent to make sure that you get only the very BEST inspector or the most established / tried-and-tested company to check your valuable asset. As we have warned previously about engaging interior designers who tout free inspection services, finding a reliable inspection company with no conflict of interest is the first step to protecting your interests during the defects inspection / rectification works, and securing your home for the future. Based on some quick checks, we noticed that the listed inspection fees from various companies are pretty similar. For example, listed fees for a 5 room BTO flat ranges from $300 to $500, while a 1,100sqft condo ranges from $400 to $680. In comparison, we estimate that a typical 5 room BTO flat costs around $300,000 or more, while a typical new 1,100sqf condo cost around $1,000,000 or more.With some quick calculations, we can see that the difference in inspection fees from company to company is an insignificant fraction (maybe 0.1% or lesser) of our property price. As home owners, we therefore need to ask ourselves whether we should choose a company based on credentials or fees. Given the small difference in pricing, is it worthwhile to take a gamble with a new player or someone who is not established in the market but offering a lower fee, or to go with someone who is established but charging a higher fee? For many home owners who have been regularly taking leaves and time off to settle the various matters relating to home purchase, home loan, renovation, etc, setting aside some leaves / offs for the defects inspection can be a burden. It will be ideal if the inspections could be done on weekends too.A quick check on the Facebook pages of the above inspection companies show that while all 4 companies operate on Saturdays, only Absolute Inspection provides inspection services on Sundays. Absolute Inspection also have the longest operating hours This will be good news to home owners who are running out of leaves and time offs. In addition to our guide, we recommend homeowners to perform due diligence on the credibility of the inspectors because the service quality and know-how can vary significantly from company to company. Also, do not hesitate to ask questions to your shortlisted companies – that is a good way to find out if the inspector knows what he is talking and whether he can be trusted.